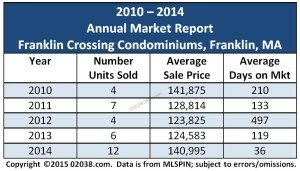 The market for Franklin Crossing condominiums in Franklin, MA appeared to turn the corner on unit sale prices in 2014. After spending the previous three years mired in the $120,000s, the average sales price at Franklin Crossing rose 13% in 2014 to just shy of $141,000. Sales volume doubled over 2013’s production – a very encouraging development. Average days on market of units that sold at Franklin Crossing in 2014 did even better, breaking decisively to only 36 days, after spending the previous 4 years well into in the triple digits! In 2014, Franklin Crossing saw sales prices rise amid a sharp increase in the number of units that changed hands. This demonstrates durable demand for homes at Franklin Crossing at higher prices and suggests further sales strength there in 2015. There is further reason for optimism at Franklin Crossing in Franklin, Massachusetts because of some very encouraging economic trends on the national level. The national economy is experiencing strong growth as evidenced by the 5% rise in GDP on an annualized basis in the 3rd quarter of 2014. Energy prices are falling, led by a collapse of price of oil during the second half of last year. And interest rates look to remain near historic lows, at least until midyear. These positive developments should help stimulate Massachusetts real estate in 2015. We may see another year of rising values at Franklin Crossing! You can learn more about this desirable condominium community in Franklin, MA below. 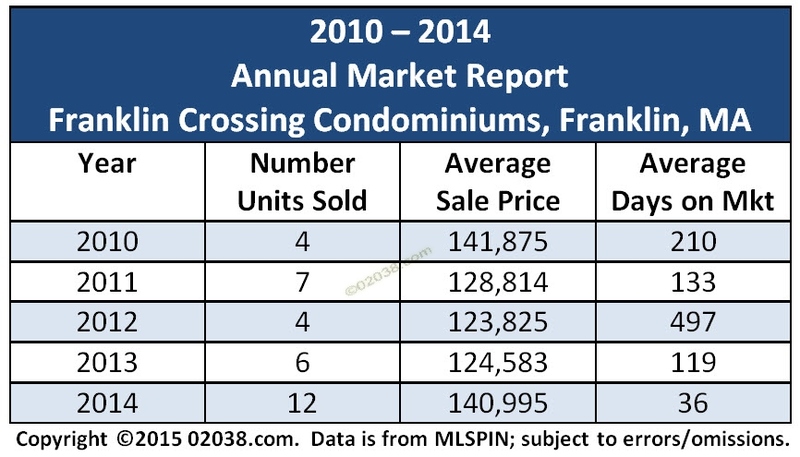 Follow the link to download the Franklin Crossing market report for 2014. It shows all the year’s sales at Franklin Crossing and contains lots of interior photos and facts! Or you can tap (or click) the image below to access the report. Franklin Crossing a great place to call home! Franklin Crossing offers modern, attractive homes at affordable prices. This condo community enjoys a commuter-friendly location near plentiful shopping and services. It has very pretty, well maintained grounds with amenities that include an in ground pool! Buying or selling in 2015? Interest rates may be on the rise by midyear, so it may pay to make your move earlier rather than later in 2015. If you’re thinking of selling your condo, some simple steps you can take before you put your home on the market can make a big difference in how well you do. Contact Warren to get expert advice on your best home-selling strategies. To find out what your property is really worth, get your free, no-obligation Home Value Report from Warren! If you are in the market for a home in Massachusetts, Franklin is a great choice! It has wonderful schools, superb recreational resources, many fine neighborhoods and plentiful shopping in town and near by. Commuting to work from Franklin is made a whole lot easier by Franklin’s two commuter rail stations. 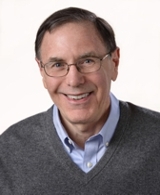 Contact Warren for help buying a home in Franklin, MA!